Magic Carpet is a video game released by Bullfrog Productions in 1994. Its graphics and gameplay were considered innovative and technically impressive at the time. A revised edition, Magic Carpet Plus, included the Hidden Worlds expansion pack which added 25 levels and a winter-themed tileset. The title also had a sequel released in 1995, Magic Carpet 2. 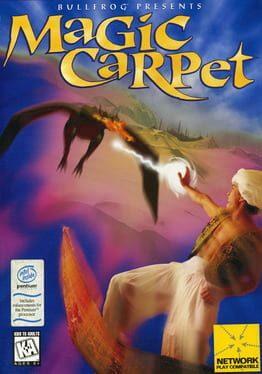 Magic Carpet was considered by critics to be a revolutionary game for its time. Magic Carpet is available from 4.99 to 4.99 from 1 shops.